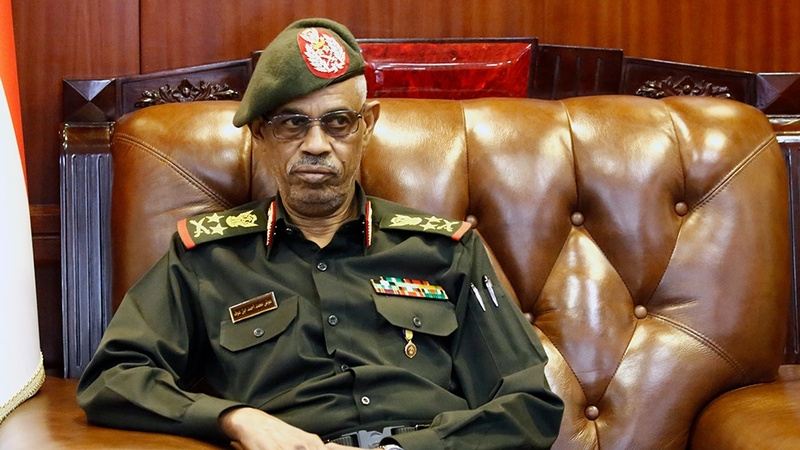 Sudan’s President Omar al-Bashir has been arrested and put “in a safe place”, the country’s defence minister said in a TV address, as he announced the formation of a military-led transitional government. “I announce as minister of defence the toppling of the regime and detaining its chief in a secure place,” Ahmed Awad Ibn Auf said on Thursday. Seated on a gold-upholstered armchair, Army general Ibn Auf announced a three-month state of emergency, a nationwide ceasefire and the suspension of the constitution. Tens of thousands of Sudanese marched early on Thursday through the centre of the capital, Khartoum, in jubilation, dancing and chanting anti-Bashir slogans. Earlier in the day, people had taken to the streets after the army said it would make “an important announcement”. Thursday also marked the sixth day of a defiant sit-in outside the military’s headquarters, which also houses Bashir’s official residence and the defence ministry.